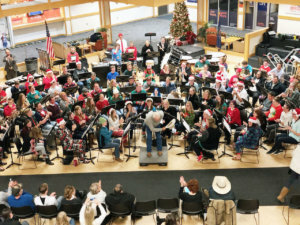 Lynn Benson takes a big bow to the applause of Snow College Symphonic Band members and the audience after conducting “Sleigh Bells” during a concert at the Greenwood Student Center. 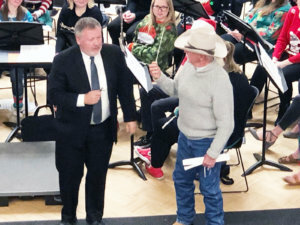 EPHRAIM—Lynn Benson, 78, who lived in Sterling for the past few years, never said he had a dream of leading an orchestra. After all, he had no training in music. But when music was playing, he frequently waved his arms as if he were conducting. “Air conducting,” his wife, Janet, called it. 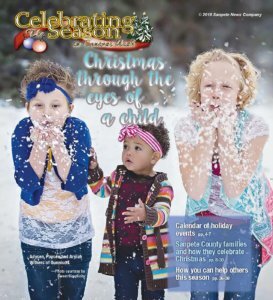 The Bensons, who lived near his daughter, were getting ready to leave Sanpete County. In fact, as of Monday, they were living in Sundance, Wyo., in the northeast corner of the state near South Dakota. But before they left, and before they were a long distance from an institution like Snow College, Janet wondered if an opportunity could be set up for her husband to conduct a real orchestra, maybe just during a practice. Word of that improbable dream got back to Marci Larsen, assistant to the president at the college, and before long, the wheels were in motion. 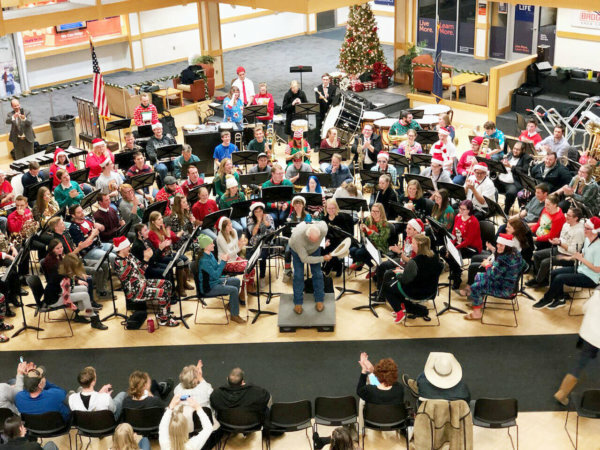 Janet got a call from Dr. David Fullmer, director of bands in the Horne School of Music offering to let Lynn Benson conduct “Sleigh Bells,” the final number in a symphonic band concert on Tuesday, Dec. 11 at the Greenwood Student Center. Janet Benson bought a baton online. She contacted some friends, Jim Dain and his wife of Provo, and asked them to come to the concert and invite Lynn and her to join them. And she asked Dain to have his cell phone at the ready to shoot a video of her husband’s performance. “They were in on the rouse,” she said. The night of the concert, Janet brought the baton in her purse and slipped it to Fullmer. 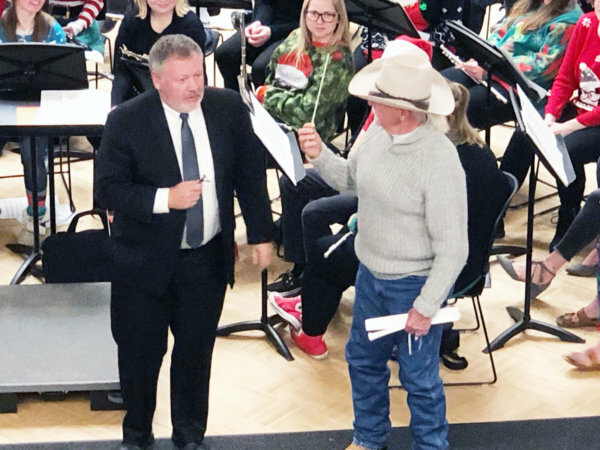 Lynn Benson, 78, (right) holds a baton his wife ordered online before taking over for Dr. David C. Fullmer, director of bands at Snow College, to conduct the last number in a symphonic band concert. “Is there a Lynn here?” he asked. Lynn Benson tentatively raised his hand. Fullmer pulled out the mail-order baton. Lynn looked at it. “It looks like something my doctor would use,” he said. The students and audience broke into laughter. “Would you like to conduct some music?” Fullmer asked Lynn. “He was in shock,” his wife says. But he’s not a wall flower. He went up front, and Fullmer gave him a quick lesson in conducting. Once in front of the band, “he got into it big time,” Janet says. He ended the number with a big bow, and held his cowboy hat, as the band and audience applauded enthusiastically. “It was a big surprise. It was a lot of fun. I still can’t believe it happened,” he says.